Will young Merino or crossbred ewes make up to $500 after the break? What price after the break? 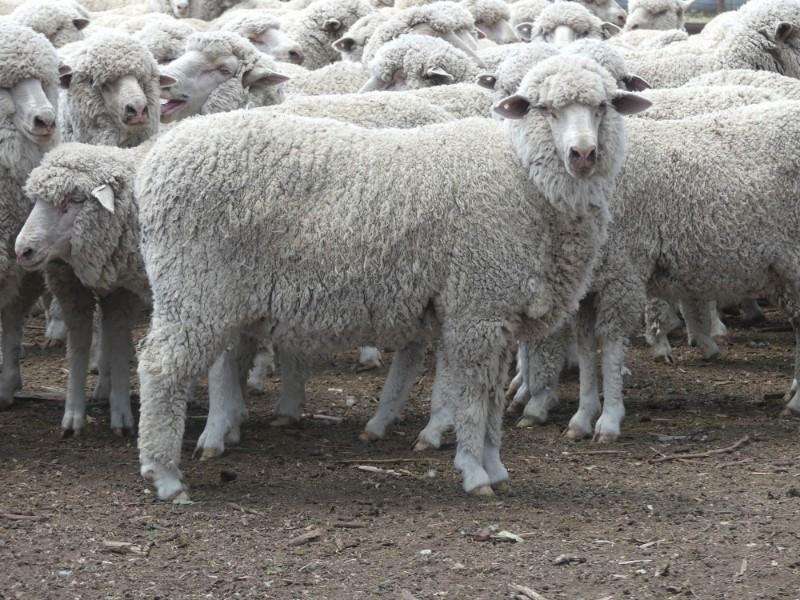 These 18-19 month-old early May shorn Merino hoggets sold for $176 in the Riverina on AuctionsPlus in January. Scanned in-lamb first cross ewes made to $300 and scanned Merino ewes sold to $225 last week online. COULD young commercial Merino and crossbred ewes make up to $500 when it rains? Australian Association of Stud Merino Breeders president Peter Meyer raised the prospect at a St Arnaud field day yesterday. But key livestock managers for major stock agencies have advised caution at over-valuing what will understandably be a very valuable commodity assuming a break to the drought and difficult conditions across Australia. Mr Meyer told the 80-strong crowd at the St Arnaud Victorian Farmers Federation Merino Gold Update that finance representatives from leading stock agencies told him they were budgeting that young commercial ewes could cost restockers up to $500 after the seasonal break. “They’ve already factored that into their finance department so they can finance breeders who want to get back into sheep,” he said. He said the agency finance representatives told him at the Elders SA Stud Merino Expo that they were estimating that older ewes, 5.5 years-old, will cost $250 just to get one or two lambs. “I think the job has got to go north, but I think that is a pretty irresponsible statement to be truthful. “I think ewes will make in excess of $200, but $500 is a massive statement,” he said, in the context of the governance around responsible lending and the cashflow pressures on farmers without off-farm income. “I think people will have to pay a lot more to buy good sheep, but I think numbers of $200-$300 maybe, but people have got to see themselves clear of sheep inside of two seasons,” he said. He said Merino ewe lambs at $100-$150 and able to cut $70 worth of wool annually were a reasonable investment. “I think that generically, as rural services, we’ve got a responsibility to make sure where we lend it is responsible lending and I think we’ve got to look at what’s the ability to generate income on any purchase price, and at $500 there are questions.. He said many of his clients were already cash-strapped, have overdrafts and recognise they need to be cautious to recover. “If there is big rain tomorrow, a client might be better to take some agistment or do something different just to give them 12 months of cashflow at low risk, because they don’t want to go further in than where I am now. He said many of his clients were running on their sound mouth ewes to recover ewe numbers over the next few years. Elders southern zone livestock manager Peter Homann said the industry was in uncharted waters in terms of restocking ewe availability and prices, whether it rains or not. “We know that (ewe) numbers are depleted and they are going to make an absolute premium – I have never heard anyone say $500. “We know when the break comes that we are going to be desperately short of sheep and they are going to make a premium,” he said. Mr Homann did not care to speculate on post-break ewe prices, though he said the scarcity of ewes would mean it would pay producers to continue to feed and retain the ewes they had. Mr Homann said he would advise purchasers to budget on recouping the cost of ewes within two years. Rodwells livestock business manager Adam Mountjoy said producers are face with a two-handed question: “Do they feed what they’ve got or quit what they have and buy back in later on? “We are dealing with an unknown,” he said. “What we do know is that there are unprecedented low sheep numbers in general, and the questions is what will be the ability to restock and at what cost? 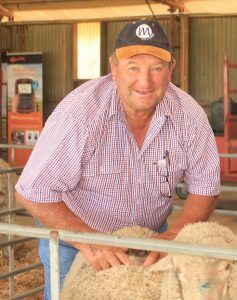 “We are all aware that this impending break could see some records broken for ewe prices, but I’m not going to chance my hand to suggest they are going to make $500, although I’ve seen plenty of people say they won’t make $300 and they’ve exceeded that,” he said. He said producers should consider feeding the ewes they have, because replacement ewes may be “unreachable”, as in unavailable at an affordable price. “There are options, you don’t have to have a ewe, if she is too dear this year, go and do something else, trade a few wethers, do something a bit different, the opportunity will come back to you at some stage. The other things is ewes making $500, they tell me Indian elephants are making a million, but there are not many being sold, I certainly haven’t got any on the books,” he said. “I was told you could buy a good proper scanned in-lamb ewe at Wycheproof for $180-odd dollars the other day – I can see a point where they would be twice that price, but I couldn’t see it being any dearer than that, that would be where I would land. Mr Meyer also believed that the fall in ewe numbers could be more than the 6 percent predicted by some analyses. According to the MLA’s 2019 sheep industry projections, after an increase of 6.8pc in 2017, the national sheep flock is estimated to have declined by more than 6pc to about 67.7 million head by June 2018. The national flock is expected to decline 3.7pc by June 2019 to 65.3 million head. Mr Meyer said the association was pushing the Breed More Merino Ewes campaign, with sponsors Elders, AWI, Rural Bank and Proway. “If you can continue it will be a very worthwhile exercise down the track, there is no doubt about that,” he said. About 80 people attended the Merino Gold Update, which included speakers from Australian Wool Innovation, Zoetis, Gallagher, Productive Nutrition, the Australian Merino Sire Evaluation Association and the Birchip Cropping Group. But I would hope intending investors in Merino ewes, in fact any ewes of any breed, do their sums very very carefully and be alert to risk; particularly the capacity of politicians stuffing up what appears a golden future. The dairy industry is a text book example of that.